Smart buyers do not automatically assume they can get a condo loan on any condo they want to buy. For example, Sherry (not her real name) thought she had landed the perfect high-rise condo in East Sacramento. The price was right, the location was perfect, and the view was magnificent. Sherry did not expect her lender to refuse to make a loan because lenders had previously made loans on other condos in the building. But her lender denied the loan because there were no recent comparable sales over the past 3 months in the building. The appraiser would not use any other comparable sales in the neighborhood other than those in the building, and none existed. None during the past three months, anyway. Welcome to the world of condo loan rules. 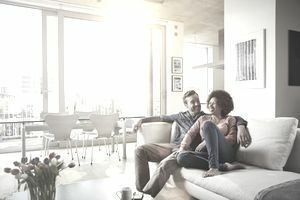 Not only do the rules for a condo loan vary greatly between FHA loans and conventional loans, but also each lender's investor may have her own set of rules (called overlays). Unlike a single-family home loan, condo loans are different, and not every condominium project qualifies. Also, just because FHA says you can get a condo loan does not mean the lender you have chosen will agree to fund such a loan. Further, to complicate matters the other direction, just because a condo complex is absent from the approved FHA condo list does not mean the lender won't accept a "spot appraisal" and approve it, because the lender might. This is a good reason to wisely choose the lender for your condo loan. FHA Approved Condo List: HUD requires the condo to be listed on its FHA approved condominium list. If the condo is not on the list, the borrower will need to seek conventional financing. Principal Residence: I recently had a buyer disqualified because he worked in San Jose and was buying a condo in Sacramento. He planned to telecommute and drive into San Jose twice during the week. Nope, the lender said the distance was too great to be considered a permanent residence. Percentage of FHA Loans: At least 80% of all FHA loans in the complex must be owner-occupied, the borrower's principal place of residence. If too many FHA-insured units are turned into rentals, FHA will not approve the loan. Percentage of Owner Occupied Units: A minimum of 51% of the units in the complex must be owner-occupied. There is a perception, perhaps true, that owner occupants take better care of their units and are more fully vested in the complex than a tenant. Construction Completion: The project must be completed for at least a year, with no additions or phases pending. This means the first sales in the complex will probably be purchased with cash or by non-FHA types of financing. No Spot Review: FHA eliminated spot reviews, which used to mean even if the condo wasn't on FHA's approved condo list, FHA might still make the loan upon review of a questionnaire. HOA delinquencies: In complexes where values have fallen across the board, dues are generally delinquent for those in short sale status or bank-owned. Percentage minimums apply, and generally, at least 85% of homeowner association dues must be in paid on time. Pending legislation: No lender wants to see pending legislation in a condo complex. Many lawsuits are costly and time-consuming to resolve. Restrictive covenants: Banks often demand that title be transferred in fee simple, free from any restrictions such as age, for example. Appropriate insurance coverage: The complex must maintain appropriate insurance such as hazard, liability and flood insurance. Every time the National Flood Insurance program approaches jeopardy, condo complexes suffer.